WASHINGTON, D.C. — Sources close to the Republican National Committee are reporting at this hour that RNC Chairman Reince Priebus may have “finally found his silver, or in this case loose and brown, bullet” for his Donald Trump and Ted Cruz conundrum. “Mr. Priebus decided to take an early morning stroll today,” Suzanne Carpenter, Deputy Assistant Junior Sub-Liaison for the RNC told reporters via email, “and while on that walk, he said he was going to try and figure out what to do about our convention and nominee problems.” Carpenter was referring tot he fact that it is no big secret on the Hill that the GOP is desperate to find a candidate who could keep both Trump and Cruz away from the nomination. Carpenter told us that as Priebus rounded the corner of a street that has his favorite coffee shop in the D.C. area, his foot kicked over a bucket of disgusting diarrhea, that was just sitting there for no apparent reason whatsoever. “What the – ah, gross,” Priebus said, according to Carpenter. But then, as he cleaned the mess off his shoes, a thought occurred to him, and he bent down to ask the bucket of liquid human waste a vital question. “Are you registered to vote,” Priebus asked the diarrhea, whose name turned out to be Lucy O’Stoole. Ms. O’Stoole blinked like diarrhea does, and answered Priebus’ question. Priebus reportedly jumped for joy, literally. Priebus wouldn’t take “no” for an answer. For thirty-five minutes he grilled Lucy. Toward the end of the conversation he was on his knees, begging. Ms. O’Stoole said she’d “seriously consider the offer” and if she decided to take Priebus up on it, she’d meet him in Cleveland later this summer for the convention. Reached for comment later in the afternoon, Priebus confirmed all the details in Carpenter’s email. President-Elect Trump reaches out to POWs. 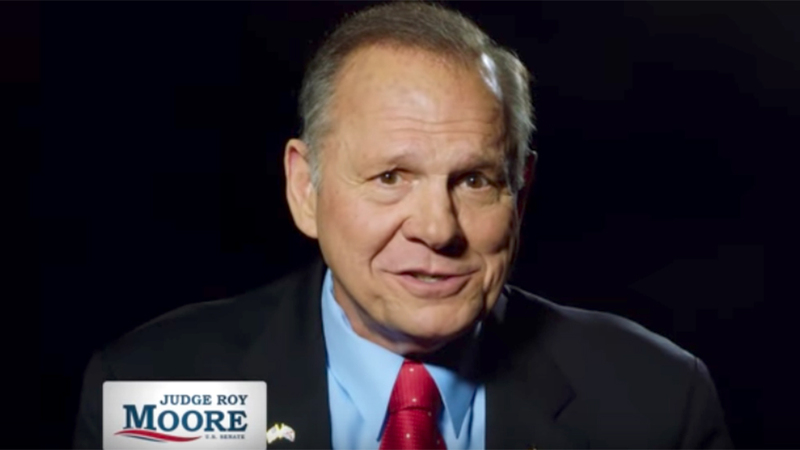 Roy Moore Hopes To Bring His “Brand of Alabama Values And Pedophilia” To D.C.